If you got a new smartphone over the holidays, you’re probably still having a lot of fun discovering all the new features. We don’t mean to be downers, but want you to be prepared: More smartphones are stolen in January than any other month, followed by February and March. Maybe some of us have one too many on New Year’s and aren’t being as careful with our devices as we would normally be. 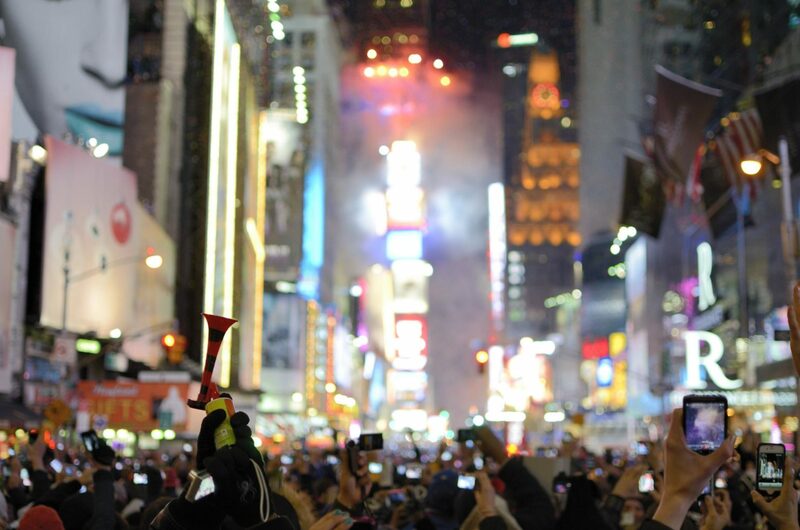 New Year’s is definitely a big holiday for going out to crowded places, which are prime areas for smartphone theft. 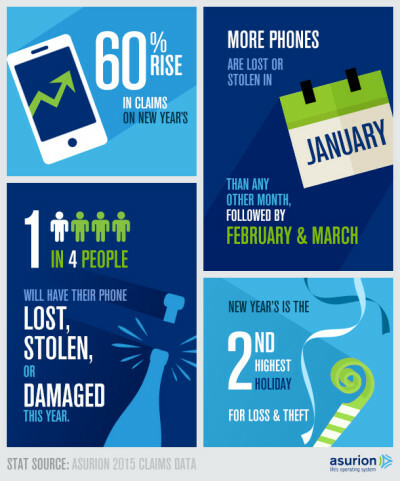 In fact, there’s a 60% rise in claims on stolen phones at New Year’s – the second highest holiday for loss and theft, after Labor Day. Don’t leave your smartphone lying around. It sounds like simple advice, but we all get sloppy at times, especially when we’re out with friends having fun, or in a familiar environment like the office or a favorite restaurant. Smartphone theft can happen anywhere! Stashing your phone in a back pocket or an open bag tempts fate, especially in a crowded place. Front pockets and zippered bags are much safer. Use strong passwords and fingerprint protection. If your phone has fingerprint login, use it. Use the strongest password you can for your phone, and make sure the screen locks quickly and automatically. If your phone allows payment to be used from the locked screen, disable that. Be prepared for the worst: Make sure your phone and its critical data are backed up in the cloud. Know your phone’s unique identifier number, theIMEI (International Mobile Station Equipment Identity) or MEID (Mobile Equipment Identifier). You can usually find this number in your settings or under the battery. Police will often ask for this number. Check your phone-finder app. Maybe you’ve just lost your phone and the app will remind you where you left it. If you know your phone was stolen, the safest plan is to wipe it right away. Think about the personal data on your smartphone—credit cards, contact info. You don’t want any of that in the hands of a thief! Sophisticated thieves may remove SIM cards or use special boxes that shield phones from cell networks, making it impossible for you to wipe the device if you delay. Be safe out there—and we hope this is advice you’ll never need!